The annual Safari Zoo Run returns for its 11th edition. The Run will feature a new race route bringing runners through the River Safari for the first time and an introduction of the Safari Zoo Duo Dash and Safari Zoo Junior Dash for adults to pair with their child to form a team! For more competitive individuals, the Safari Zoo Challenge is now 12km, 2km more than previous years! The Safari Zoo Run will also feature the Bring Your Own Bottle initiative in a bid to encourage participants to go Green. 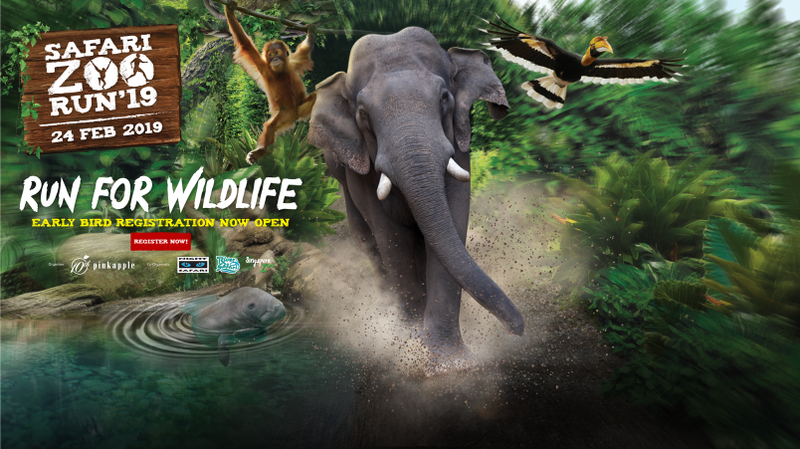 For more details, visit Safari Zoo Run website.